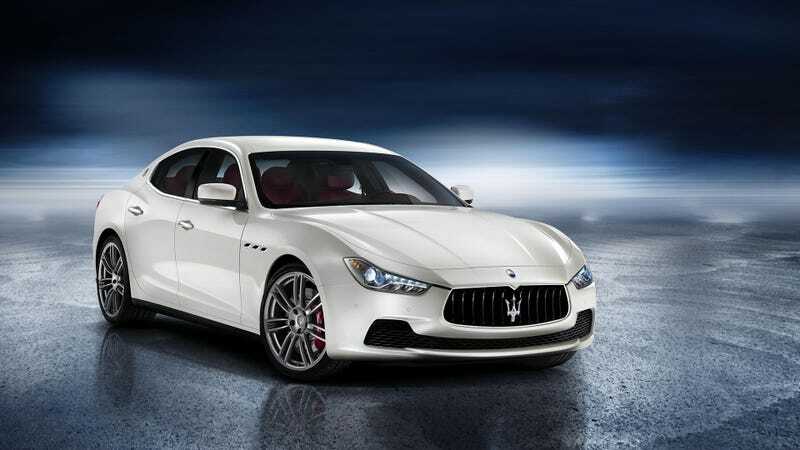 Maserati is planning to sell 50,000 cars a year, and the entry-level Ghibli is the model that can take it there. The new four-door saloon will debut at the Shanghai Motor Show later this month as Maserati's first car in this segment. Available with both rear-wheel and all-wheel drive, the 2014 Maserati Ghibli will be powered by two turbocharged 3.0-litre V6 engines, one of which is the company's first diesel ever. All will be linked to the ZF eight-speed automatic which you can also find in the big brother Quattroporte. No word on pricing or performance yet, but looking at the Jaguar XF's figures would be a fair guess.